Someone Bought This: This shirt is unbelievable... for all the wrong reasons - WrestleCrap - The Very Worst of Pro Wrestling! 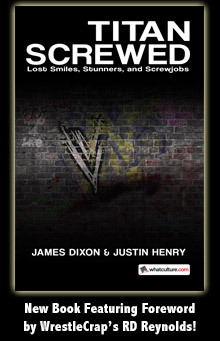 “Unbelievable!” (said in Vince McMahon’s awesome bombastic voice) was WWE’s slogan during the failed “New Generation” era where they trotted out a bunch of new wrestlers and characters that nobody cared about. 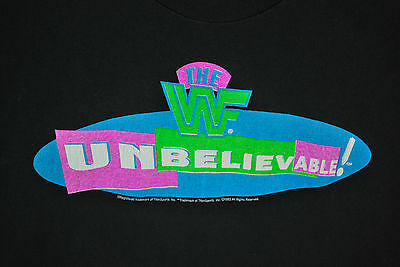 “Unbelievable”… as in “I can’t believe how terrible the WWF is these days”. 4 Responses to "Someone Bought This: This shirt is unbelievable… for all the wrong reasons"
That shirt could have been better if it just bolieved in itself. My joke about about the Steve Austin Condom, which was shilled here, is worse and got chirped.. The tragedy is the shirts could have been repurposed with a slight tweak to be Leif Cassidy t shirts.